Restaurant cleaning may be the most physically demanding type of cleaning and it is vital to both the image of the business and customer loyalty that it be cleaned, sanitized and maintained to exacting standards. Not only can the cleanliness make or break a restaurant’s reputation, if high standards are not maintained, it could result in health code violations or seriously ill customers. Restaurants are frequented by many different people and are often at increased risk of having high levels of illness causing germs and bacteria. Germs are spread from restaurant restrooms to other areas such as door handles, check-out areas and seating. Identifying and thoroughly cleaning these areas in your restaurant is crucial in maintaining a healthy environment for employees and customers. Blue Wave Restaurant Cleaning Services in Halifax uses a combination of techniques to reduce germs and bacteria. For example, our Restaurant Cleaning system uses color-coded microfiber cloths to ensure cross-contamination does not occur and our commercial grade vacuums will help improve air quality as they filter allergens, germs and dust. Our restaurant cleaning technicians are experienced and highly trained to ensure your restaurant is maintained to the highest standards. Our advanced clean system and highly trained cleaning technicians ensure that hot spots get the attention they deserve – behind toilets and urinals, sink areas, stall walls/doors, baseboards and door handles are a breeding ground for germs. We focus on these areas to ensure they are property and thoroughly cleaned and disinfected each visit. Your restrooms will sparkle and smell wonderful. The “one-size-fits-all” services does not work well for restaurants. 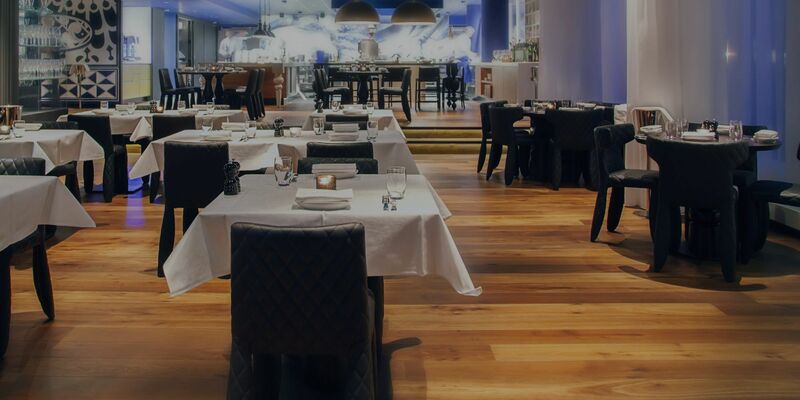 Blue Wave Restaurant cleaning services in Halifax understands that each restaurant is unique when it comes to the cleaning requirements and budget. We will consult with you to create a customized plan that will allow us to put a plan in motion for helping your restaurant achieve and maintain a clean and inviting environment for customers and staff. Why should you outsource the cleaning of your restaurant? Cleanliness plays an important factor in customer loyalty. Blue Wave Restaurant Cleaning Services has the expertise to ensure restrooms look and smell amazing and customer seating areas are clean and inviting.